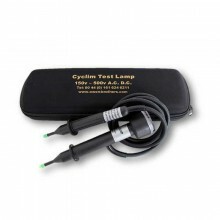 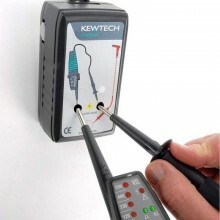 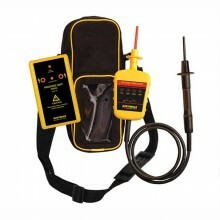 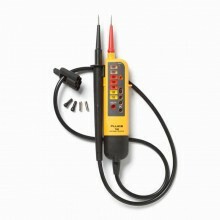 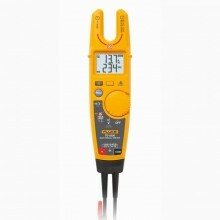 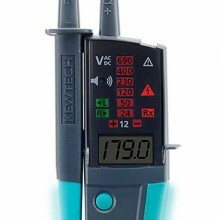 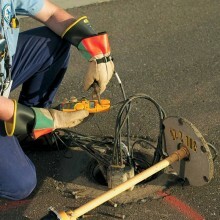 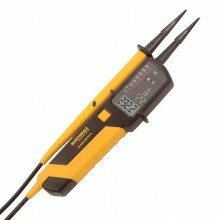 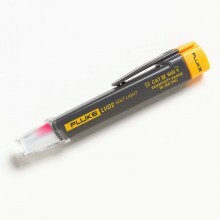 Includes: VI13800 Voltage Indicator, PD440 Proving Unit and Carrying Case. 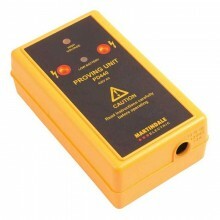 The Martindale VIPD138 contains the VI-13800 voltage indicator and the PD440 proving device, enabling you to comply with health and safety recommendations for safe working. 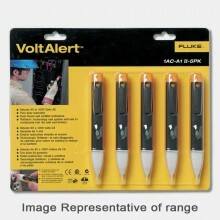 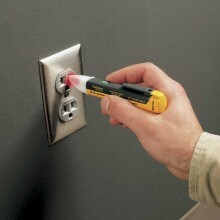 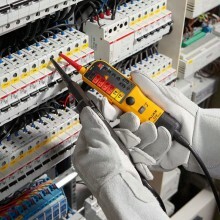 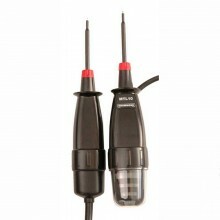 The VI13800 provides instant visual AC and DC voltage indication in four stages from 50V to 400V. 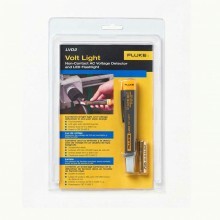 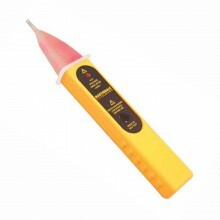 The bright long life LED indicators give clear and immediate display of the voltage level range. 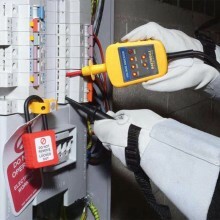 It has retractable probes, heavy duty finger guards and a two layer double insulated cable with a white inner core to give clear indication of damage that might compromise the user’s safety. 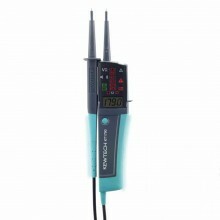 The latest design complies with the new standard relating to 2 pole voltage indicator, BS EN61243-3 and the requirements of GS38 Edition 4 2015. 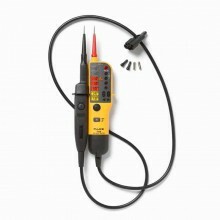 The latest version of BS EN61243-3:2010 came fully in to force in May 2013 and all voltage indicators on the British & European market should comply. 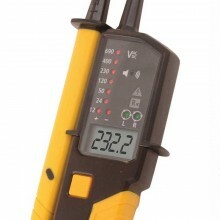 The VI13800 replaces the industry standard VI13700. 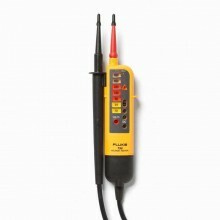 The Martindale PD440 is a 440V AC proving device, designed to enable voltage indicators to be fully checked, in compliance with Health & Safety recommendations. 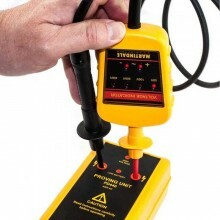 Using a voltage indicator without first proving it is working correctly could prove fatal. 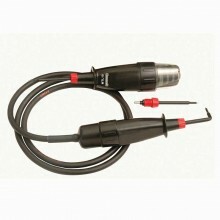 The PD440 is compatible with the new Martindale VI13800 & the Martindale VI1370. 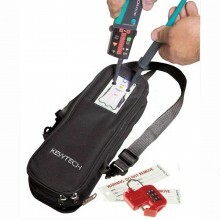 Unfused kit to comply with with BS EN61243-3 2010. 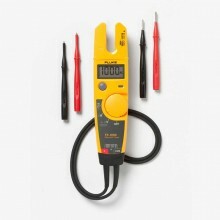 Polarity & Voltage indication from 12V. 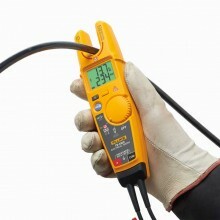 Output Voltage 440 V Nominal. 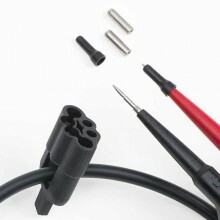 Dimensions 143 x 85 x 50 mm. 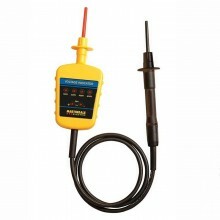 Martindale PD440 warranty 2 years. 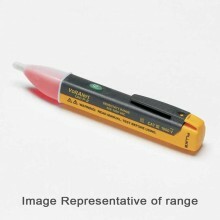 PDF Specifications of the Martindale VIPD138 Voltage Indicator Proving Device.